Sigma Beauty Blog: You Are Invited! Join us for an exclusive Sigma product launch plus meet one of YouTube’s most popular beauty experts! Read more to get all the details! On Sunday, Oct. 28, YouTube beauty guru MakeupbyTiffanyD will be at the Mall of America rotunda for the launch of her limited edition Defining Eyes Palette – a palette created by Tiffany in collaboration with Sigma. The palette contains a variety of items essential for creating both everyday looks as well as sultry ones for fun nights out. In addition to meeting Tiffany, attendees will also be able to purchase this unique palette before it is available on the website! Bonus – you get 20% off, plus Sigma gift bags willl be given out (quantities limited). 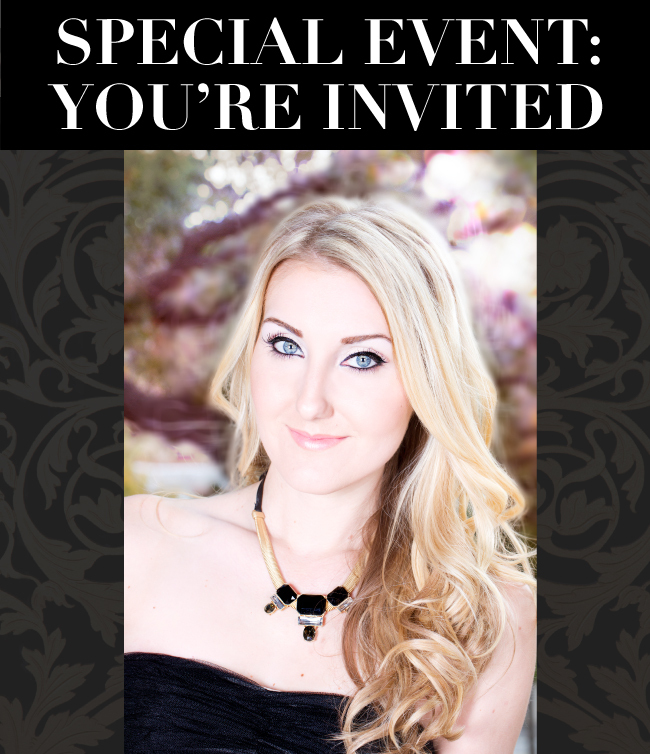 You don't want to miss this special event! P.S. You can learn more about TiffanyD here and here! Oh my goodness!!! I want to be there sooo bad!!! WHY DO I HAVE TO LIVE IN NEW JERSEY!??!?!?! This sounds like an amazing event and I wish I can be there not only to get a first look at this new palette (which I will be purchasing) but to meet the incredible and beautiful Tiffany D! Congratulations, Tiffany, on all of your success!!! I'll be there for sure, what time does it start? I'm SO there! I love Sigma and Tiffany! I would love to go but I'm from barcelona so I don't think I csn make it :'( enjoy!!! Wow ! I live in NJ too and I think I might have to use my miles up to get there! I have been following her for years! I can't wait for this ! See another reason I need to go see The Mall of America! Wish I could, but I like in California..I cannot wait to get this palette.. I LOVE Tiffany and enjoy watching her videos all the time.. and I LOVE LOVE your brushes too ... Go Tiffany and Go Sigma! You sound just as excited as we are Lee! I live in NJ too and I would loveeeee to go to this event! :/ she's amazing. When is the palete going to be on the sigma site? Any plans for a Los Angeles store? Had a bunch of brushes in my online shopping cart but shipping came out to $10 :( would love some where local to pick them up at. Wish I could go too!!! I live in NYC. Good Luck Tiffany!!! I love The Sigma brushes and make-up. I use them everyday including the eyebrow kit!!! OMG OMG I will defenitly be trying my hardest to make it! This would be incredible to attend! Yay for having a palette made by Tiffany, I love her and her style. Great job Sigma!!! What time will she be there and how long? Tiffany D is my idol and it would be amazing to meet her. Too bad I don't have a chance to go to the Mall of America until January which also happens to be my birthday. I'm so there! I've been waiting to see when the store would open for what feels like forever! So freaking excited! Thank you!!!! How about the Sigma pay my airfare / hotel for me to go to the event? I'm in Brazil, Rio de Janeiro, would be a dream to enter the store from Sigma! I wish I could go! Mall of America is s far away from NC! How exciting!!! I would love to attend this as well... especially to see the palette as it's unveiled!!! Congrats Tiffany! I've been a loyal subbie of yours for years!!! As an affiliate and a fellow youtube beauty guru I'd love to take the trip and meet her! Buuut as a broke college kid I have to miss out :( Maybe there will be another opportunity like this in the future I could take part in. I'd like to come, but...I'm from Italy! Really too far! I cannot WAIT to see this beauty as I love Tiffany and never miss one of her videos, she has such great personality, she is witty, talented, beautiful and I love her!!! Where is Rotunda? I don't see any address on the invitation. I wish I could be there but I'm in Texas! It's sounds like an awesome event. I will be purchasing this palette as soon as it's available! I can't wait. Awesome!! But I've no chance to be there since I live in Liechtenstein (middle of Europe) but congrats to Tiffany and I think the event's gonna be great!! Hooray! I live in Saint Paul so I will definitely be there! What time does it start? I can't wait to get this new palette......both myself and my daughter are still in love with the Paris palette; really gorgeous. I love your company. I think you do a great job and don't try to release too many things at one time to the point where quality slips. Your brushes are great, especially the newer ones. The flat face brush is just awesome, not only is it reasonably priced but it is well made and saves me money as I don't use as much foundation with it. I also love the smaller rounded concealer brush....it is like a finger and applies and blends concealer flawlessly. Please keep up the good work and I will be back time and again to purchase your wonderful products!!!! my god I'm so excited to see and purchase palette ..... can not go to the event because I'm Brazilian but I live in Japan!! I'm waiting to buy the site so enter! I hope that on the 28th ..... and could even have 20% discount for us that we are far too! everyone would love it .... bye!! OHHHHHHH!!!!!! I wish i lived closer! !, too far from the AZ :(....but congrats Tif!!!! You are awesome!!!! OMG I subscribe to TiffanyD and wish I could be there :( Unfortunately flying from the other side of the world isn't an option LOL looking forward to hearing what's in the goodie bags and thoughts on the palette! I loved the Paris Palette!!! Ohhhh I wish I could be there but I will definitely be purchasing the new palette!! Congratulations Tiffany! 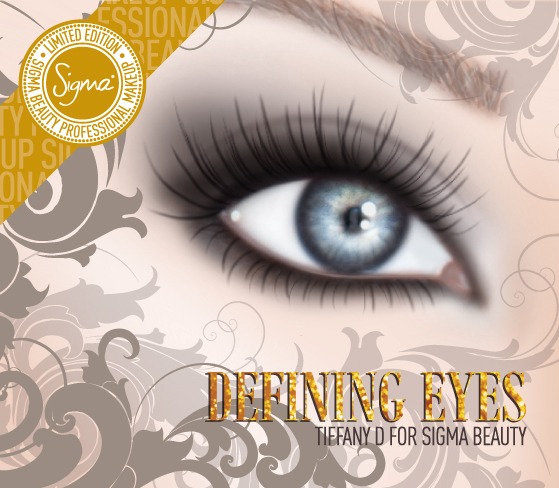 And Sigma for creating such AMAZING products keep up the good work!! And I will continue to be back to buy your wonderful products!! Thank you so much for the gift it was great, the mini eyeshadow trio has great color payoff and the brushes were adorable. I got the TiffanyD's palette its great, she was beautiful, soooo nice and humble just like in her videos, i love her !! the 2 hrs in line were worth it !! Thankx sigma !!! i will see you when your store opens up!! Wow this is huge accomplishment! Congrats!